An update in January first, I hope this is a new custom and this year I post more, because that mean I have been working in more models. 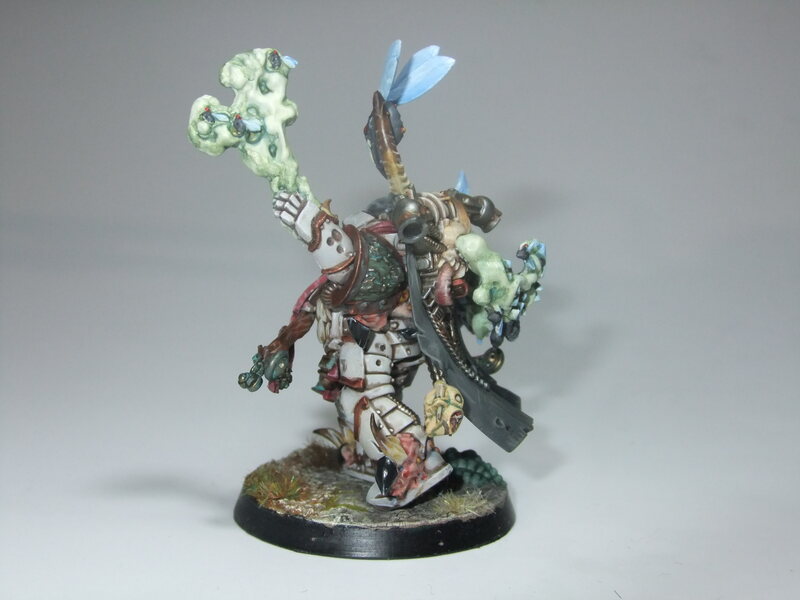 But let me show you the first HQ of this army, a Malignant Plaguecaster, and again...converted. 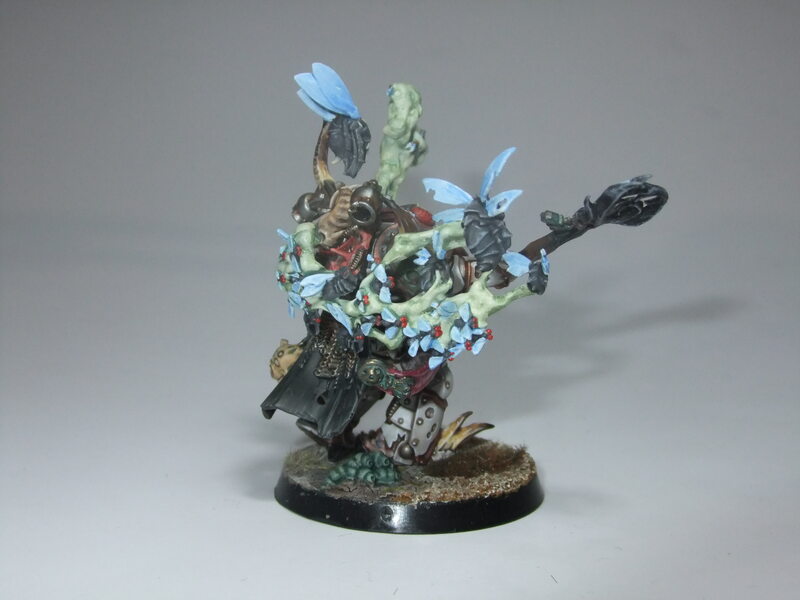 This time I can´t hold myself, specially when I found that the Plague Marines box brings a...fly head!!! Yesss, a mutated fly head!! And GW doesn´t show it anywhere! What the heeeeeeeeeeeeell?!! Why?! 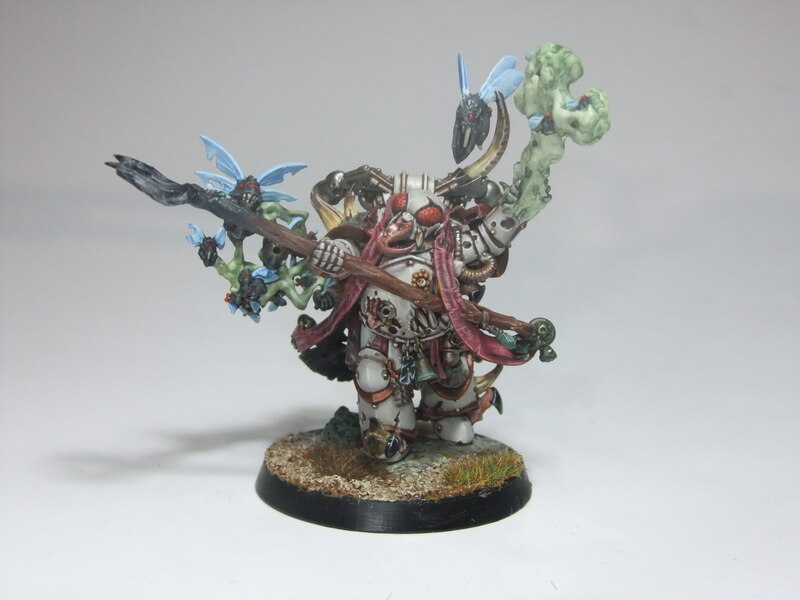 I had a theme for the conversion then, and as I´m converting Typhus, I had some demons flies to use too. So, I give you the Lord of the Flies! !